Sprinklers malfunctioning or breaking can quickly become a major problem for the health of your sprinkler system, your yard, and your water bill. 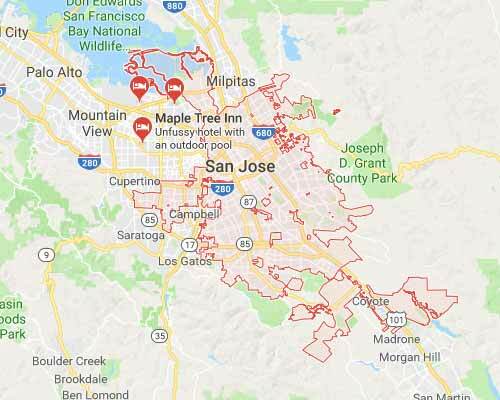 Often, it happens with little or no warning and catches you by total surprise, leaving you in a state of emergency to get sprinkler repair in San Jose fast. A sprinkler repair emergency may catch you unprepared, but the team at Sprinkler Repair Bay Area is always ready to deal with any disaster that may happen with sprinkler systems. From a clogged valve to a major system malfunction, we are experienced to handle any job – big or small. Call us for sprinkler repair in San Jose and surrounding areas. We’ll bring our years of experience, five-star service, and know-how to get the job done quickly and efficiently so you can get back to enjoying your yard. You could be dealing with a bit of a clog problem that a little cleaning and resetting will fix. You should take apart the sprinkler head and clean it with water. Put it back together and put it back into place. If it’s still not working, you may need to replace the entire sprinkler head. If your sprinkler head needs to be replaced, you’ll need to dig it up to access the riser. Unscrew the broken sprinkler head and install the new hand, making sure it’s hand-tightened. While both solutions aren’t difficult, you do need to be careful of underground utilities and the sprinkler lines and spray heads. If you aren’t comfortable or confident to take this on, give our team a call today. 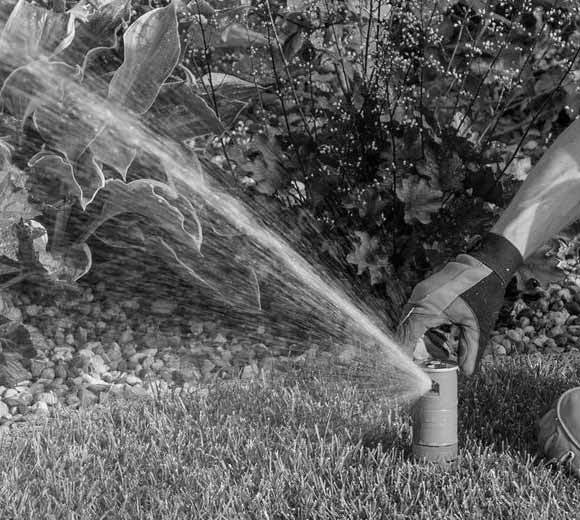 Instead of being a glorious, powerful spray of water, your sprinkler system has a sad flow that barely extends a foot, or worse, your sprinkler heads aren’t even coming out of the ground. Low water pressure may be your problem here, and in most cases, you’ll need to call in the professionals. Go to your backflow device and make sure the valves are open. First, turn the valve on the horizontal pipe and then turn the valve on the vertical pipe. You can be sure the valves are open when the handles are parallel with the pipes. If this doesn’t fix the problem, give us a call. Calling us is solution two because you need to figure out what’s causing your low water pressure and that usually requires knowledge and experience that people outside of the sprinkler industry don’t have. First, we will locate any leaks in your sprinkler system and repair them. this usually fixes the low water problem. If we don’t find any leaks or fixing the leaks doesn’t return normal water flow, we will look for possible crushed pipes. In some cases, tree roots can grow and squeeze a pipe until it crushes. This won’t always cause a leak, but it will stop the flow of water. If this is the problem, we will replace the crushed pipe with a new section and your system will be back in working order. If you have one of the problems above, or any problem other than the most common two problems listed here, contact us today. 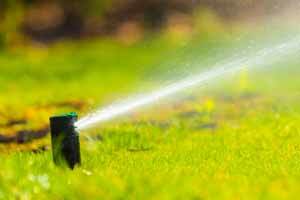 Sprinkler tune ups should be scheduled every season and can quite often prevent emergency repairs later. In fact, we have a monthly check-up program that is designed to make sure you don’t get caught off guard by a sprinkler problem that threatens the health of your landscaping and makes your wallet take a major hit. We come out and check your system and make sure everything is working as expected. This small investment is a set-and-forget it plan to help make sure your sprinkler system is in top condition all year long. Call us today to get more information about our sprinkler tune up in San Jose and surrounding areas. We hope that with your free time and money, you’ll get out and enjoy the city too. If you’re not sure if we’re in your area, give us a call. We’ll let you know! And if not, we may be able to refer you to another trusted sprinkler and irrigation contractor in your area that we trust. Call us today to learn more about our sprinkler repair in San Jose and surrounding areas to keep your irrigation system working great and your lawn looking awesome.